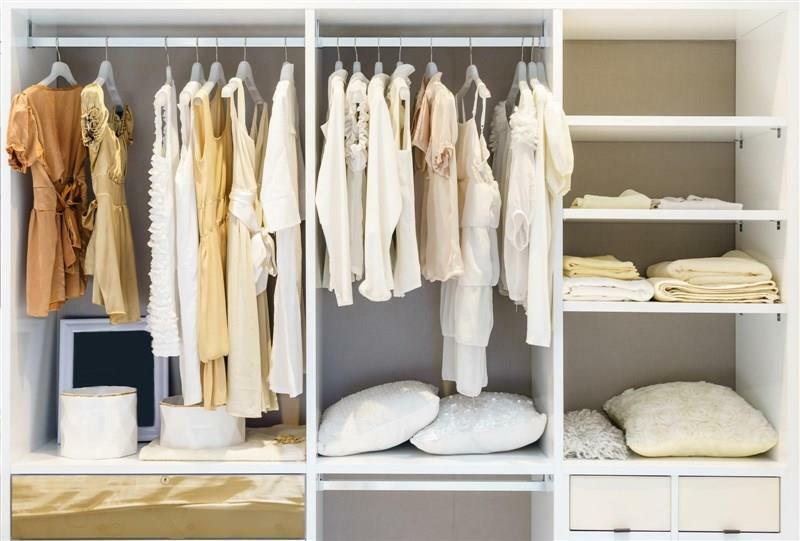 There are several tell-tale signs that your Adelaide home is begging for a wardrobe refit. Your shoe-rack is at capacity, and your favourite pairs begin to pile up on the floor; your prized fashion pieces have been carelessly shoved on a shelf because you’ve run out of hanging space; items come flying out of the wardrobe whenever you open it, and you’re locked in an ongoing battle to get the doors closed. If these scenarios sound all too familiar, it’s certainly time for a wardrobe makeover at your place. A wardrobe refurb is often not on our list of top priorities: we only visit our wardrobes twice a day on average, and because we can shut the door on our storage problems, it’s easy to turn a blind eye and put up with the mess. What we don’t consider is that, with our busy lifestyles in Adelaide, a wardrobe makeover is one of the simplest, most affordable methods of simplifying the dreaded morning scurry to get ready for work and school. While you’re sorting through a tangle of laundry to find your favourite trousers or hunting down the handbag that’s obscured amongst a pile of clutter, you’re wasting valuable minutes that might have helped you get out the door on time and alleviated the stress of peak hour in Adelaide. When our wardrobes are outfitted to store our clothes and accessories properly, it is so much easier to find what we need in a hurry. You wouldn’t need to waste time giving your outfits a second iron because they were carelessly shoved in a pile, rather than hung. Your wardrobe favourites will remain in great condition when they are well cared for, and a small investment in generous and functional storage now, will reduce the amount you spend replacing crumpled shoes and handbags, and clothes which have developed tears, due to inadequate hanging space. When you call Hills Robes and Kitchens, Adelaide’s most experienced name in wardrobes, one of our consultants will visit your home and customise a wardrobe design that suits your needs entirely. Our modular fittings allow complete customisation of your wardrobe design - one of our wardrobe consultants will visit your Adelaide home, at no cost to you, and help you to determine which fittings will best suit your needs. There is no limit to what you can do with a built-in wardrobe from Adelaide’s very own Hills Robes and Kitchens—full-length space for dresses and coats, half-length space for shirts, trousers and tops, fully-adjustable shelving, a variety of drawer depths to suit your needs, custom shoe racks, and pigeonhole shelving to display your prized shoe collection. Whatever your storage needs, you can be sure that a wardrobe from Hills Robes and Kitchens will stand the test of time. We have a reputation for quality craftsmanship and decades of experience in wardrobe design and creation. Give us a call today to arrange for your free wardrobe design consultation and quote, and find out why we are Adelaide’s most trusted name in wardrobes.